It’s friday and for some reason I feel like tacos go well with friday. Maybe with a beer or two and a large bowl of chips and guacamole. Sound good? 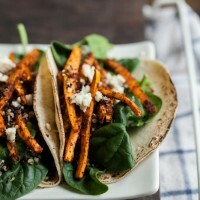 What a unique way to make tacos! So fun. I can’t wait to try these out! Such a coincidence. My boyfriend and I made crispy quinoa bowls for dinner last night and are having tacos tonight. 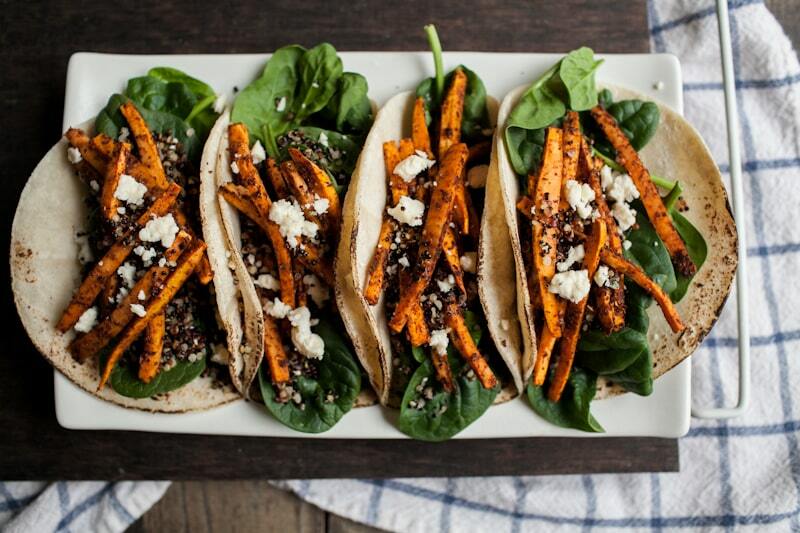 Now that I’ve seen this, I will definitely be tossing the leftover crispy quinoa into the taco medley. Happy Friday! Erin, these look fabulous! 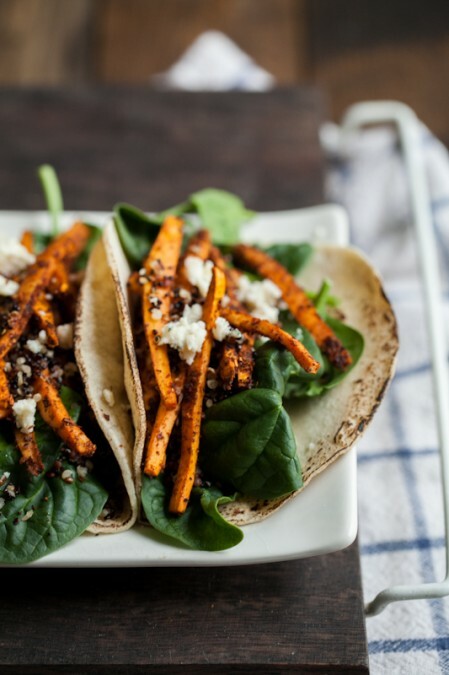 Love the sweet potato addition for these yummy tacos! These look so delicious! 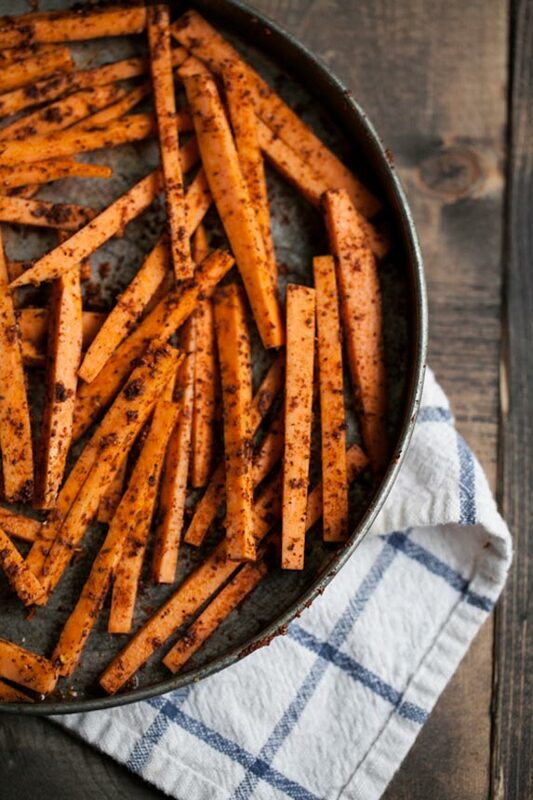 I love the idea of cutting the sweet potatoes into strips – I’ve never seen anything like that!